Hezbollah secretary general Hassan Nasrallah delivers a speech, June 24, 2016 (Al-Ahed, June 24, 2016). 1. On June 24, 2016, Hezbollah secretary general Hassan Nasrallah delivered a speech dealing with Hezbollah's current challenges. One of the issues discussed at length was the pressure exerted by the United States on the Lebanese banks system to prevent them from collaborating with Hezbollah (an American-designated terrorist organization since 1995). 3. His remarks were apparently motivated by the USHizballah International Financing Prevention Act of 2015, whose objective was "to prevent Hizballah and associated entities from gaining access to international financial and other institutions, and for other purposes," passed on December 18, 2015. It resulted in the imposition of sanctions on Lebanese businesses, concerns, associations and individuals affiliated with Hezbollah. To prevent harm to the Lebanese banking system, in June 2016 the Central Bank of Lebanon blocked the accounts of organizations and individuals affiliated with Hezbollah. Immediately thereafter the banks received a concrete threat about capitulating to American pressure: on June 12, 2016, a bomb hidden in a flower pot exploded in front of the Blom Bank in western Beirut. The objective of Nasrallah's speech was probably to relieve the pressure exerted by the Americans on the Lebanese banking system and keep Hezbollah from being blamed for destroying the Lebanese economy. 4. According to American administration sources, Iran provides Hezbollah with approximately $200 million a year. Iran also provides Hezbollah with extensive military aid and support for its social institutions, worth, in ITIC assessment, hundreds of millions of dollars a year. The military infrastructure Hezbollah has constructed in Lebanonwith Iranian support is intended, in due time, to be used against Israelin accordance with Iranian interests. That was manifested as recently as July 1, 2016, in a speech given by Hossein Salami, deputy commander of the Islamic Revolutionary Guards Corps (IRGC), for Global Jerusalem Day: he said that in Lebanon alone there were more than a hundred thousand missiles ready for launching against Israel. Also ready for launching were tens of thousands of long-range missiles in other areas of the Muslim world. All the missiles, he said were for "removing Israel once and for all from the political geography of the entire world" (Fars, July 1, 2016). A. The United States is exerting pressure on the Lebanese banking system: According to Nasrallah, regarding American sanctions, some of the Lebanese banks went so far as to become "more American than the Americans." For example, he said, banks had frozen the accounts of charitable societies [affiliated with Hezbollah] even though their names did not appear on the American list. In addition, he claimed, some of the Lebanese banks even "persecuted" relatives of Hezbollah operatives. The "irresponsible and aggressive" conduct of the Lebanese banks, he said, was an attack on Lebanese sovereignty and was "destroying" the Lebanese economy and banking system. Nevertheless, he claimed, Hezbollah was prepared to discuss the issue with the relevant parties to preserve Lebanon's economy and welfare (despite the fact that according to Hezbollah, there were Lebanese who "went to Washington and influenced the passage of the law"). B. The American pressure on the Lebanese banks will have no influence on Hezbollah: He noted, with a smirk, that the Arab media had reported "that Hezbollah had collapsed economically." He claimed that even if the Lebanese banking system implemented the American law [to prevent funding from reaching Hezbollah] and even if the banks "exaggerated in implementing it," as far as Hezbollah was concerned, "the law will do them no good and will have no influence on Hezbollah." He said, "while it may exert psychological pressure, it will have no financial or material influence on Hezbollah." Hezbollah, he claimed, "has no commercial projects, no investments, everything is open and above board." 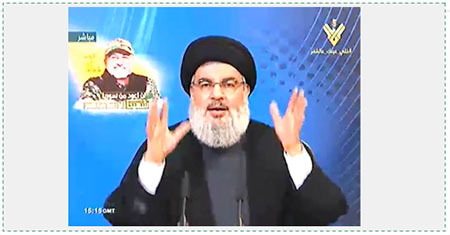 C. Nasrallah emphasized that American sanctions will have no influence on Hezbollah because its entire budget comes from Iran: To illustrate, he (exceptionally) elaborated the extent of Iran's financial support for Hezbollah, saying, to applause from the audience, "Hezbollah's budget, salaries, funds, food, drink and weapons all come from Iran." He repeated that Hezbollah's entire budget came from Iran, and "as long as Iran has money, we have money." "No [American] law," he said, "can keep the money from reaching us." He claimed that even when sanctions had been imposed on Iran, "the money allotted to Hezbollah continued to reach us. "Nasrallah thanked Iranian Supreme Leader Ali Khameneifor Iran's support throughout all the years of Hezbollah's existence. A. Most of Hezbollah's budget does in fact come from Iran, butit has other, although secondary, sources of income. They includedonations from Shi'ite businessmen and members of the Shi'ite communities in West Africa and Latin America. Their donations probably reach Hezbollah through bank transfers. In addition, since its founding Hezbollah has dealt extensively in organized crime in Lebanon itself and in other countries(especially in Latin America), in drugs, counterfeiting and other criminal activities. Hezbollah is connected to international drug cartels enabling it, and Iran, to conduct subversive and terrorist activities around the globe (an example of how Iran used its connections with a drug cartel in Mexico to implement the Qods Force plan to assassinate the Saudi Arabia ambassador to the United States in 2011). 1) The objective of the institutions is to reinforce the support of the Lebanese Shi'ite population for Hezbollah's military infrastructure and to give the organization added weight in Lebanese politics. The institutions deal with health, education and welfare. 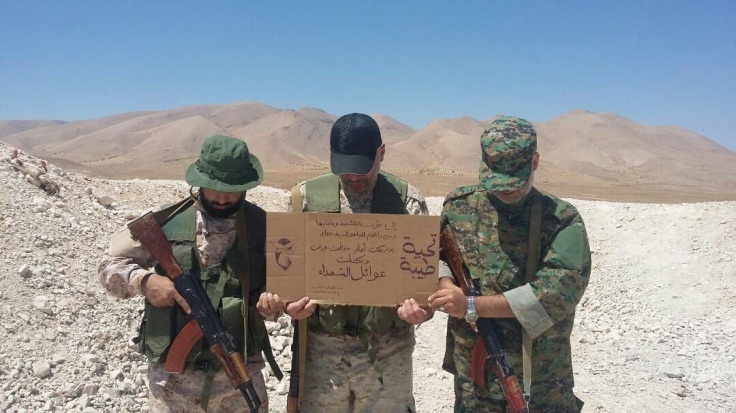 Lebanese youth is "educated" to prepare a new generation of Hezbollah operatives (similar to the activities of Hamas and other terrorist organizations in the Gaza Strip). Many of Hezbollah's social institutions are linked to funds, foundations and organizations in Iran, and receive financing from them. 2) Hezbollah's social institutions include the Shaheed Foundation(supports the families of killed Hezbollah operatives), the Construction Jihad(deals with initiatives for rehabilitation and construction among the Shi'ite population), the Foundation of the Wounded(supports wounded Hezbollah operatives and their families), the Islamic Health Network(provides health services to Shi'ites and Hezbollah operatives), the Imam al-Mahdi Scouts(Hezbollah's youth movement), the al-Imdad Association(supports the needy) and the Knowledge Association(spreads Shi'ite Islam). 7. 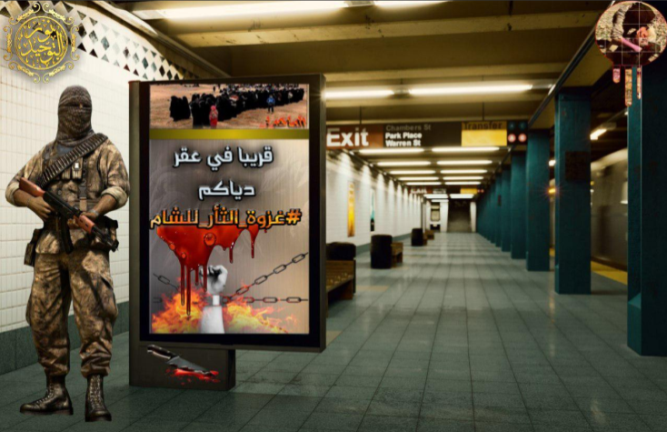 The American law that enraged Nasrallah was the Hizballah International Financing Prevention Act of 2015, passed on December 16, 2015, by Congress and signed by the president into law. Its objective is to "prevent Hizballah and associated entities from gaining access to international financial and other institutions, and prevent Hizballah's global logistics and financial network from operating in order to curtail funding of its domestic and international activities; and utilize all available diplomatic, legislative, and executive avenues to combat the global criminal activities of Hizballah as a means to block that organization's ability to fund its global terrorist activities." Once the bill had been signed into law sanctions were imposed on a list of Lebanese businesses, companies, institutions and individuals with ties to Hezbollah. As a result, the Central Bank of Lebanon blocked hundreds and perhaps thousands of Hezbollah-affiliated bank accounts in accordance with the list of American sanctions. 8. The Lebanese newspaper Al-Akhbar, which has access to Hezbollah, said that among the accounts blocked were those affiliated with Hezbollah's social institutionssupporting Shi'ite Muslims. Blocking the accounts will harm Hezbollah's ability to compensate its Lebanese supporters (En.iranwire). Al-Arabiya TV reported that the Lebanese banking system had recently begun implementing the American sanctions by closing bank accounts affiliated with Hezbollah. They included the accounts of the al-Imdad Association, the Shaheed Foundation and others (Al-Arabiya, June 12, 2016). 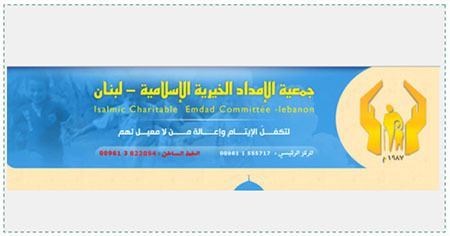 The logo of the al-Imdad, Islamic charitable association in Lebanon. It (deliberately) does not publicize the numbers of its bank accounts so as not to involve the Lebanese banking system. Donors inside Lebanon are requested to go to one of the association's offices. Foreigners are requested to telephone the head office in Beirut, and will be told how to send a check or email the association (Website of the association July 3, 2016). 9. Two days after Hezbollah-affiliated bank accounts were blocked, the Lebanese banking system received a message, "Lebanese style,"of what it could expect if it continued to capitulate to American pressure. On June 12, 2016, a bomb hidden in a flower pot exploded in front of the Blom Bank in western Beirut. Two people were injured and the building was damaged. Reportedly, the bank was one of the first in Lebanon planning to close dozens of Hezbollah-affiliated accounts in accordance with the American sanctions(Al-Arabiya, June 12, 2016). 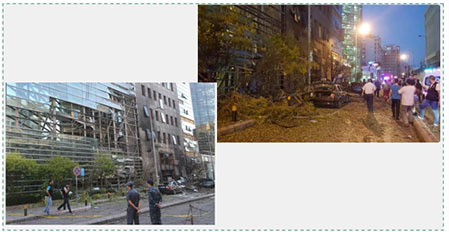 Left: The damaged façade of the bank building the day after the explosion (Al-Youm Al-Sabaa, June 13, 2016). The scene of the explosion in western Beirut (Twitter account of Adel Samia, June 12, 2016). 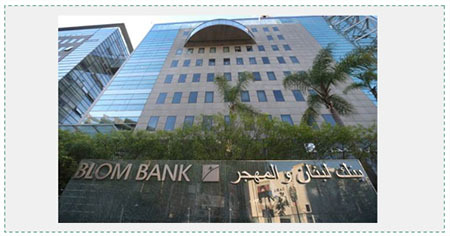 The façade of the Blom Bank in Beirut before the explosion (Al-Youm Al-Sabaa, June 13, 2016). 10. Following Nasrallah's speech, Ramazan Sharif, IRGC spokesman, said Iran was not concerned about Nasrallah's remarks relating to Iranian support of Hezbollah. He said that so far, the "Zionists and the West" had done everything in their power against Iran and there was nothing further they could do. Iran's support for Palestine and its struggle against the "Zionist regime" were not a secret, he said. He added Iran's position had been openly expressed in declarations made by the founder of the Islamic Revolution and its supreme leader. He said the "Zionist regime" was the "number one enemy" of the Muslim countries, especially Iran. He added that what Nasrallah had said about Iran's financial support of Hezbollah was also a message for the Arab states. Their objective was to make the inexperienced rulers of Saudi Arabia and other states aware of the results of trying to turn Iran and the Shi'ites into the "number one enemy" of the Sunni Arab states. The "Zionist regime," he said was still the principal enemy (ISNA, June 26, 2016). 11. In ITIC assessment, Sharif's response to the speech does not reflect Iran's genuine position, but a response to Nasrallah's sending the ball to the Iranian court. That is liable to make it even more for difficult for Iran to lift international economic restrictions imposed on it. Since the beginning of the year, when the nuclear agreement went into effect, Iran has found it hard to gain access to the tens of billions of its dollars in frozen foreign accounts. Some of its difficulties are the result of continuing American restrictions on commercial transactions with Iran. 12. Nasrallah's remarks are liable to lead to voices raised in the West, especially the United States, demanding continued economic restrictions on Iran. That would be a serious challenge to Tehran's efforts to improve its financial status. The American response to Nasrallah's speech included a call for Iran to stop funding Hezbollah (see below). Senior figures in the Iranian government, especially those close to President Rouhani, would probably like to downplay Iran's support of Hezbollah and not openly make a statement that would reinforce America's designation and perception of Iran as a terrorism-sponsoring state. 13. However, even if Nasrallah's speech made some Iranians uncomfortable, no significant change can be expected in the nature and extent of Iran's support for Hezbollah. 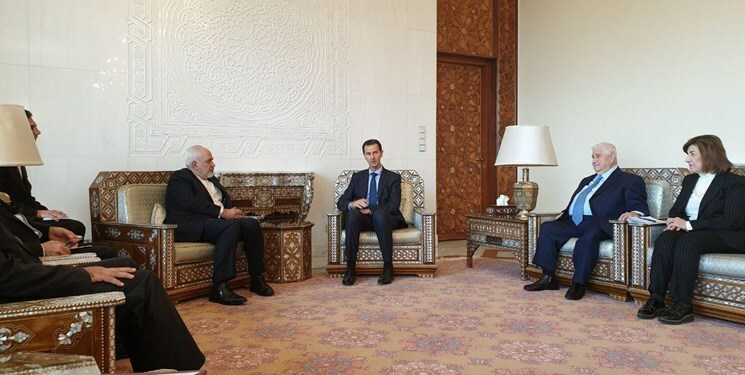 That is because Hezbollah is considered by Iran as its favorite strategic arm in its campaign against Israel, in implementing its policies in Syria and in achieving its regional goals. Hezbollah's deep involvement in the fighting in Syria and its support of the pro-Iranian Shi'ite militias in Iraq and Yemen are clear examples of its importance in promoting Iran's regional interests. Thus Iran will probably be willing to pay the diplomatic, media and even financial price in its relations with the United States and the West if it means continuing to strengthen and foster Hezbollah as a military and political force. A. 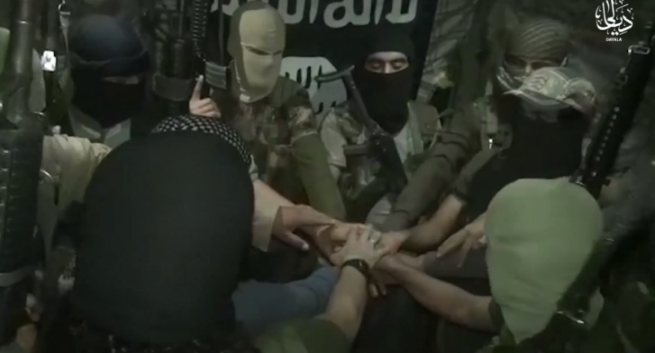 "…we have called on all those who fund Hezbollah to stop doing so. We know that Iran supports terrorism, and we know that Iran supports Hezbollah. And that is why we've issued the most serious and most severe sanctions ever on Iran for doing so. So it's important for them to recognize their own behavior in enabling this. And we've had a conversation recently about Iran’s concerns about access to international markets. Well, those financial actors are looking at Iran’s behavior. And if Iran is going to continue to fund terrorism and continue to supply resources to Hezbollah, that is going to have impact. Those financial actors don't want to do business with a country that's doing that." B. Asked what leverage America had in terms of the money reaching Hezbollah through the banking system, he said America was "going to continue to use all the tools at our disposal, including sanctions, to target this group that we have, of course, designated as a foreign terrorist organization. We believe our designations over the past year designating Hezbollah procurement networks, financial and commercial front companies and other entities have been highly effective". According to the annual reports issued by the State Department, Iran gives Hezbollah hundreds of millions of dollars a year: in 2010 the Obama Administration reported that Iran annually gave Hezbollah between $100 and $200 million dollars. The Department of Defense estimate is the same (Loc.gov/crsinfo, June 31, 2015). Matthew Levitt, an American expert on Islamist terrorism, testified before the House Foreign Relations Sub-Committee on September 17, 2015. He said Iran gave Hezbollah $200 million a year, in addition to weapons, training, intelligence and logistic aid. He added the during the previous 18 months Iran had reduced its financial aid to Hezbollah, calling it a "collateral benefit" of the sanctions and the drop in the price of oil (Washingtoninstitute.org). Other estimates, both Western and Arab, range from $200 to $300 million per annum, and more. According to a report in the Kuwaiti paper Al-Quds in October 2011, Hezbollah receives $350 million annually. In October 2014 Le Monde reported the same figure. In June 2016 the London-based Al-Araby quoted an American intelligence source as saying Hezbollah received $200 million (En.iranwire.com). Nasrallah was not entirely accurate. Iran's annual financial support did continue reaching Hezbollah, but it was reduced, according to the testimony of Matthew Levitt to the House of Representatives (September 17, 2015). Levitt is of the opinion that Hezbollah is likely to be one of the major beneficiaries of the Iran nuclear agreement. For further information about Hezbollah's criminal activities in Latin America, see the April 18, 2012 bulletin, "Latin America as a Terrorist, Subversive, Criminal Arena for Iran and Hezbollah" http://www.terrorism-info.org.il/en/article/20318. The daily Arabic newspaper Al-Sharq al-Awsat recently reported that the American administration established an oversight system to monitor Hezbollah's financial transactions in the United States, Latin American and Africa. That includes money laundering, drug smuggling and the trade in stolen American cars and merchandise (Al-Nashra, June 29, 2016). The al-Imdad charitable association was founded in Lebanon in 1987 after having been given funds by the al-Imdad association of the Ayatollah Khomeini, which was founded in Iran in 1979. It has branches throughout Lebanon and runs educational and welfare institutions. Hezbollah's Shaheed Foundation operates as a branch of the Iranian Shaheed Foundation. It supports the families of Hezbollah operatives who have been killed. Washington has not lifted the sanctions that are not related to Iran's nuclear program but rather to its terrorism and human rights violations. The United States continues prevent Iran from using the American financial system. The Supreme Court recently decided not to thaw two billion dollars of Iranian assets, and instead turned the money over to American families whose relatives had been killed in terrorist attacks in which Iran was involved.